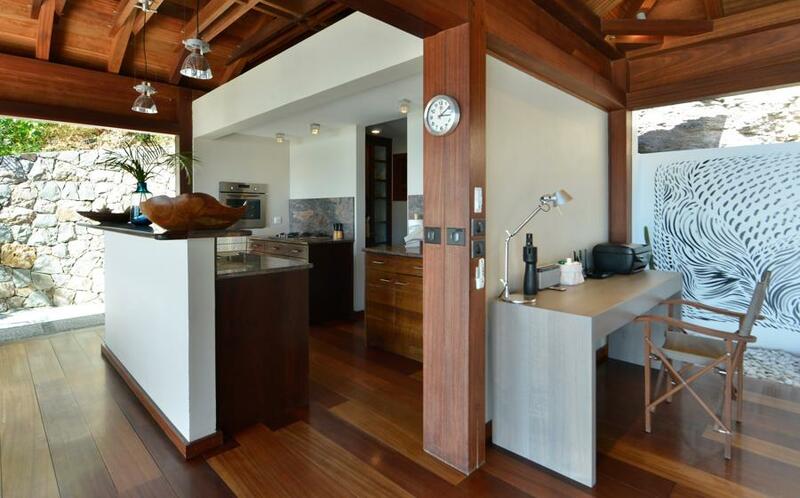 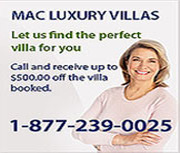 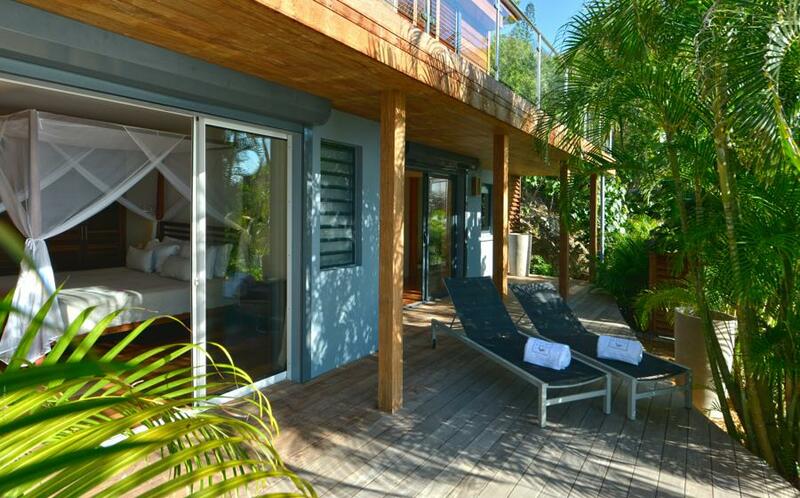 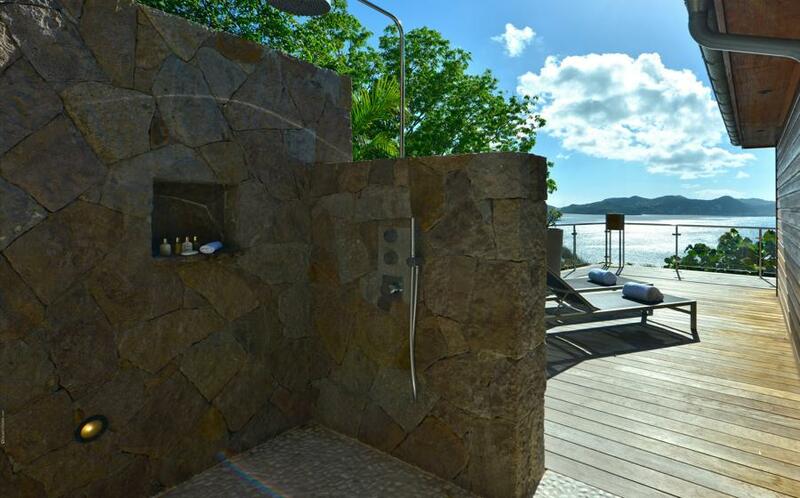 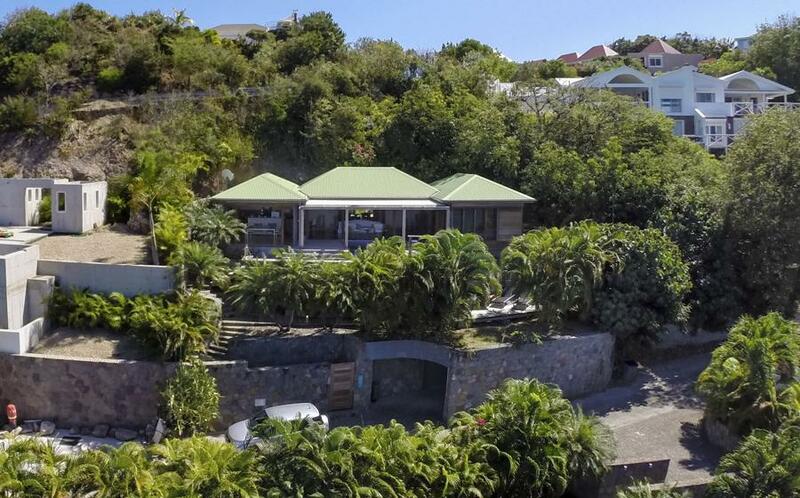 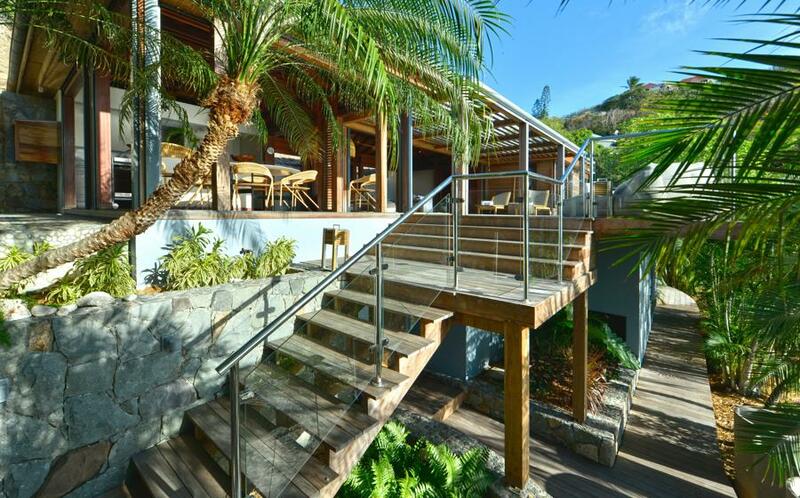 It is located on the hillside of Pointe Milou in St. Bart's, facing the sunsets. 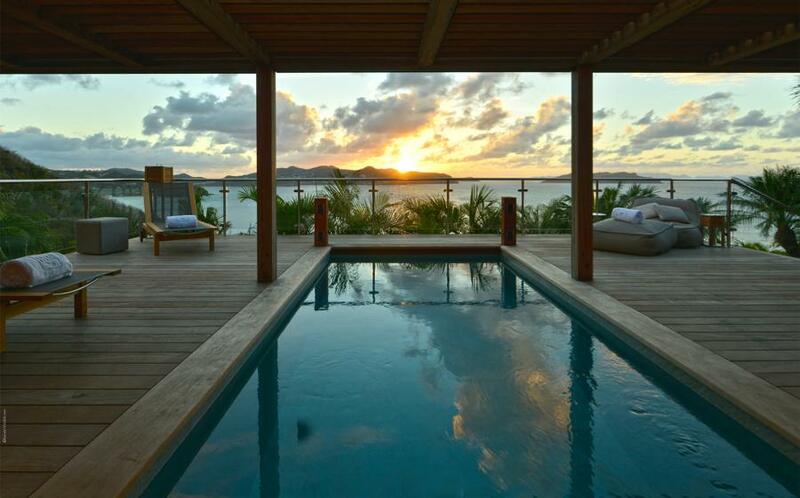 Sun lovers will be delighted. 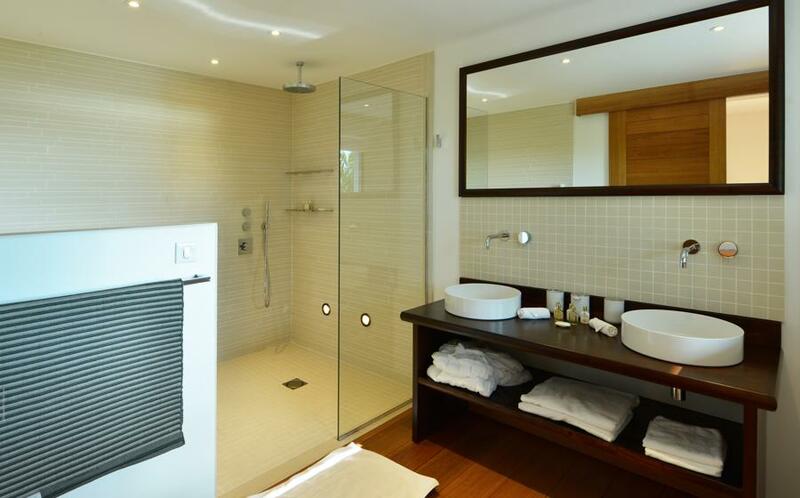 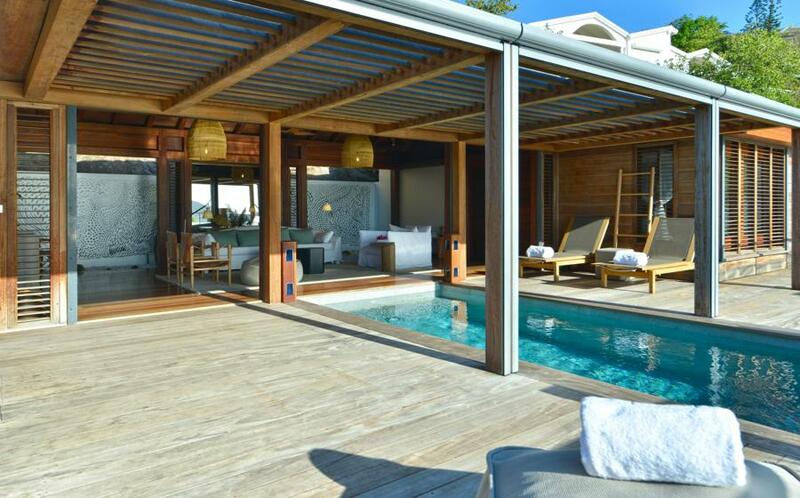 This contemporary and highly private villa opens onto a large terrace with a covered swimming pool. 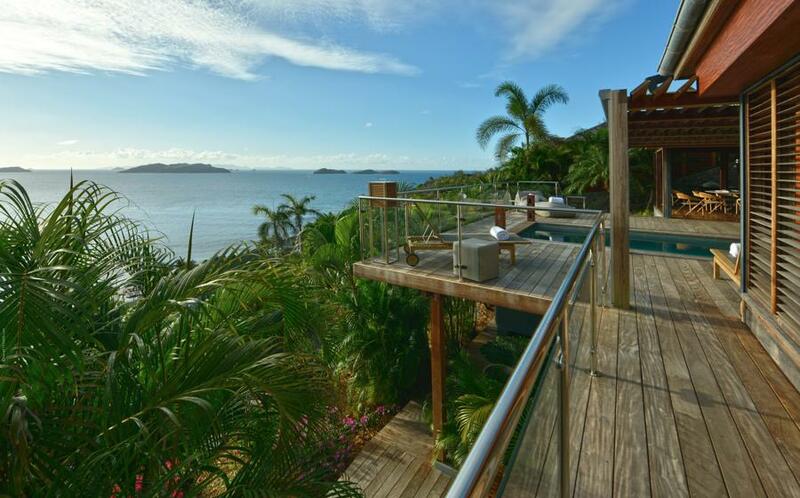 Perched above the ocean, the panoramic view over the ocean and its islands is magical. 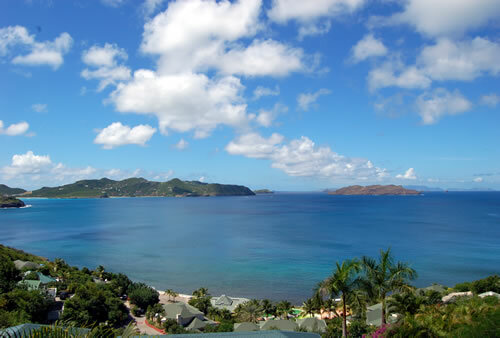 In this part of the island it is very often that the sea is made of numerous different colours from green, turquoise or dark blue... a truly amazing show. 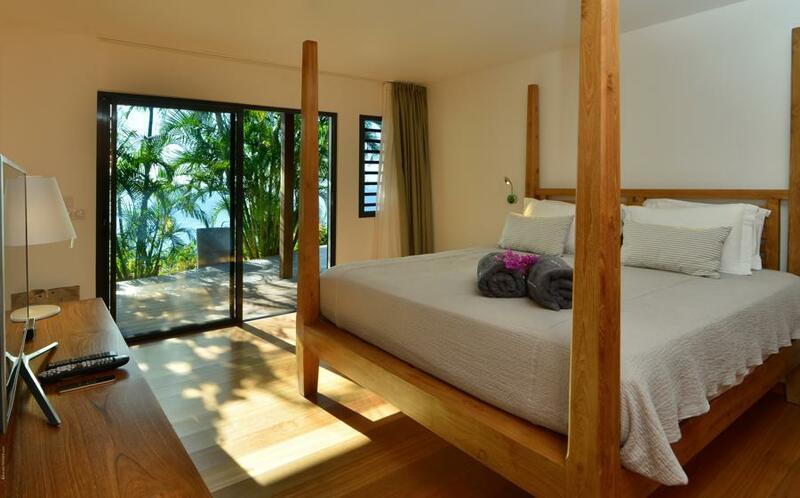 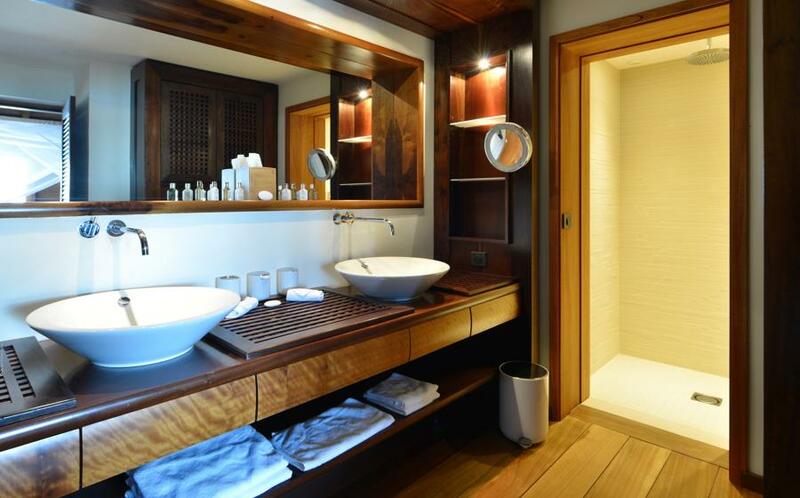 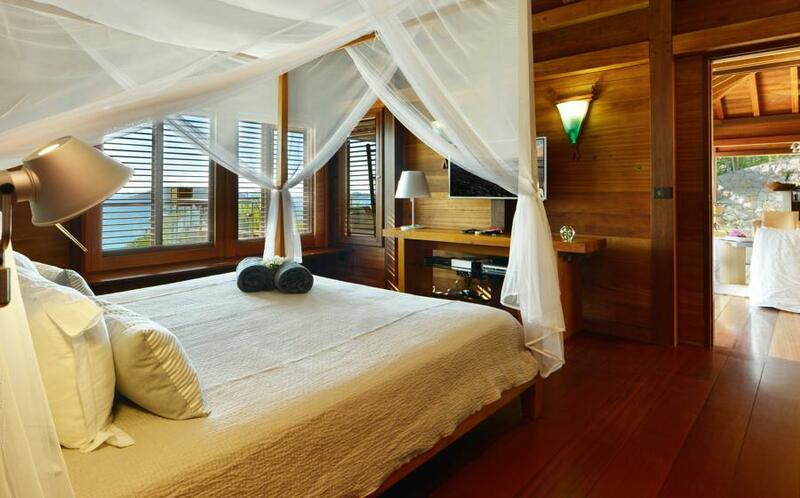 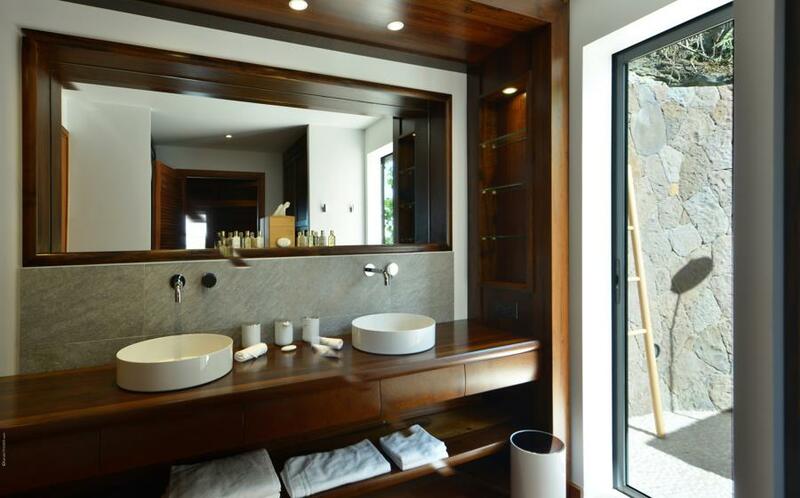 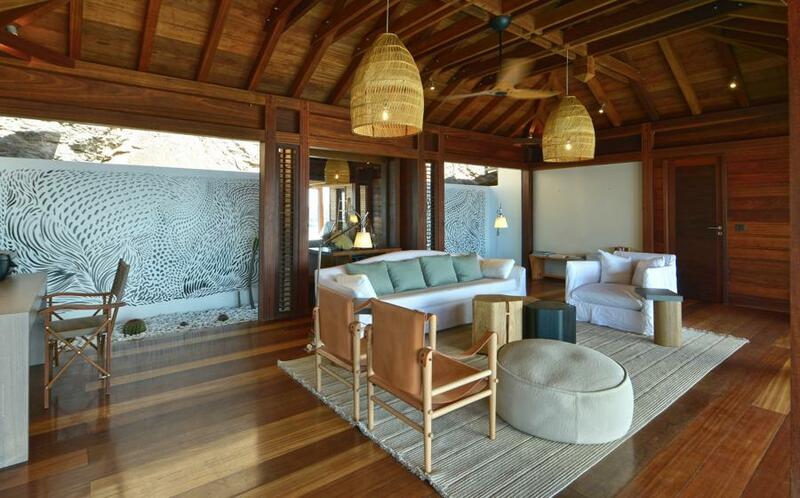 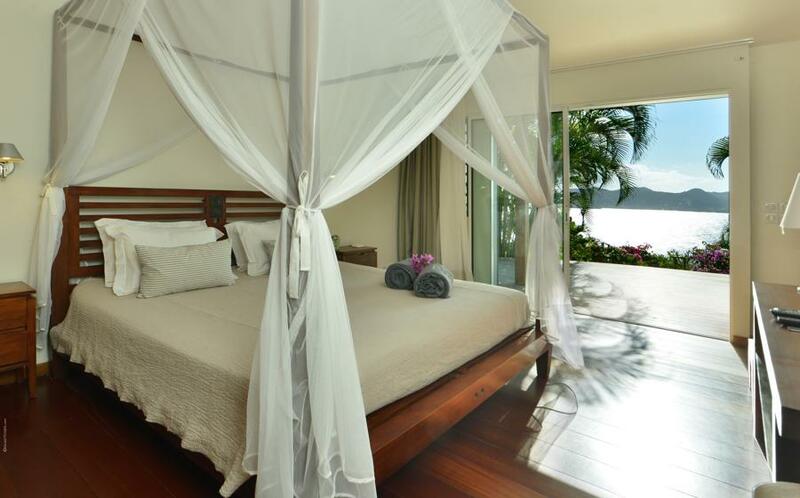 The villa provides an zen-like atmosphere due to the exotic wooden floors and walls, the ocean view, canopy beds, the mix of Indonesian and contemporary style. 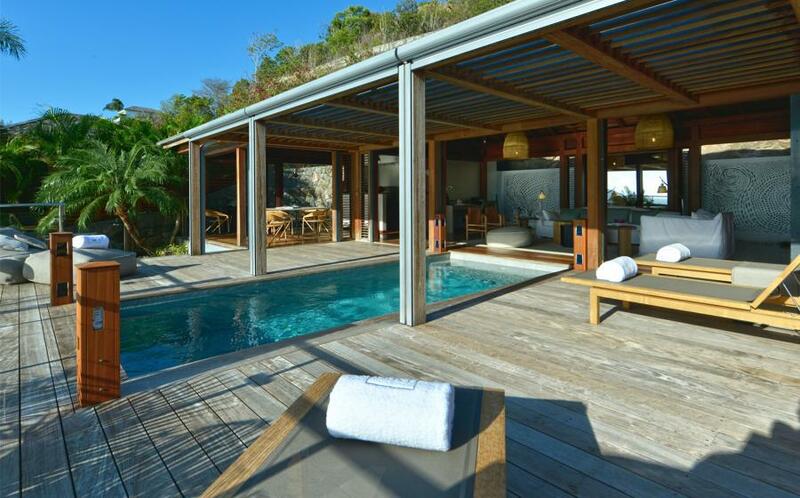 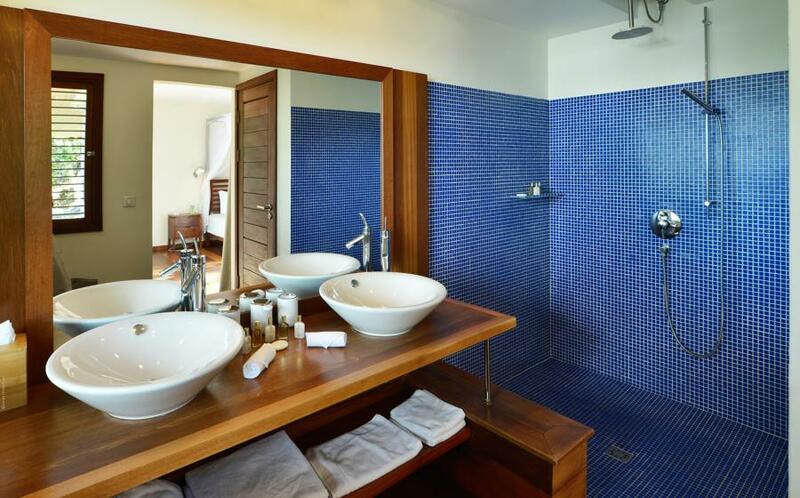 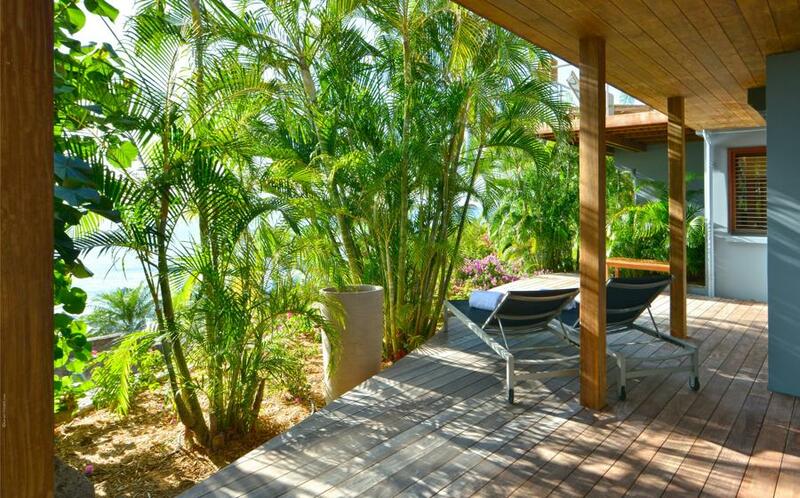 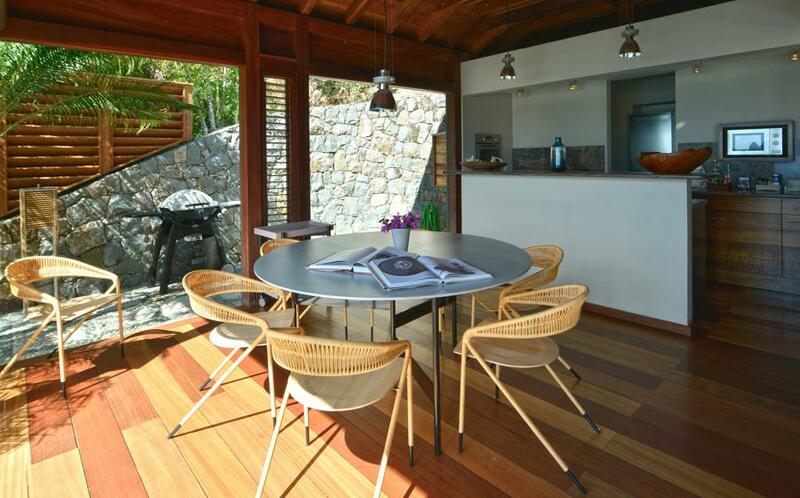 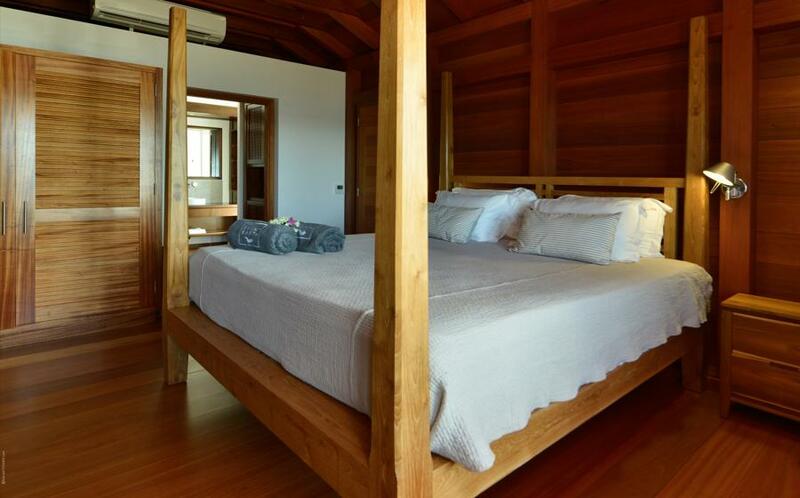 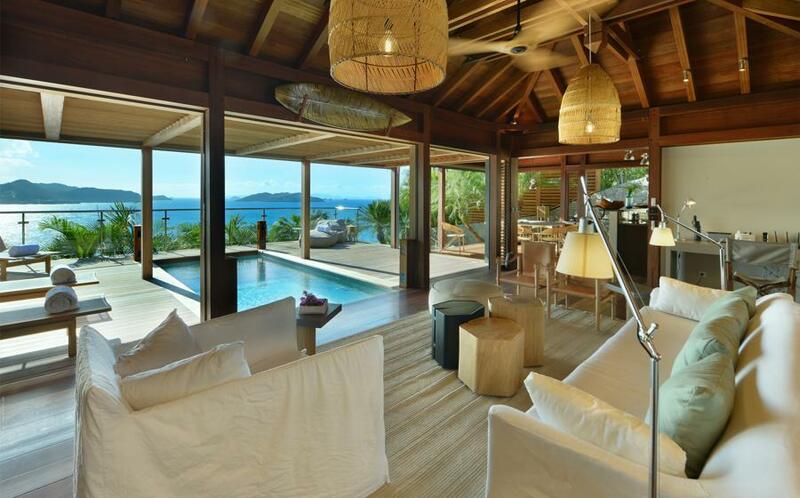 An extraordinary villa for idyllic holidays for a couple, or between friends.